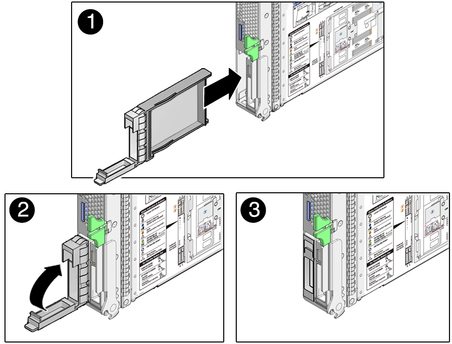 Extend the filler handle, then align the filler to the empty drive bay (panel 1). Push the filler into place. Close the filler lever (panels 2 and 3).